On Thursdays in January, we celebrate Throwback Thursday with life-changing memories from visionary women. Here, Nicole Bernard Dawes, founder and CEO of Late July Organic Snacks, shares a life-changing moment for her and her company. F&W's #FOODWINEWOMEN series spotlights top women in food and drink in collaboration with Toklas Society. Follow the hashtag on Twitter (@foodandwine). On Thursdays in January, we celebrate Throwback Thursday with life-changing memories from visionary women. While mourning the death of my business partner, mentor and father, Steve Bernard, I faced a crossroads. Late July Organic Snacks, the company that we built together, was facing insurmountable challenges. It was 2009, and in the midst of a recession, financing partners were demanding answers about the future of the business before my father was even laid to rest. Within three weeks, our bank sent a letter that mentioned his death as a default on our company’s loan, threatening the future of Late July’s financing. After my father died, I remember feeling suddenly alone, frustrated that we never discussed what would happen next and regretting the other lessons I had yet to learn. 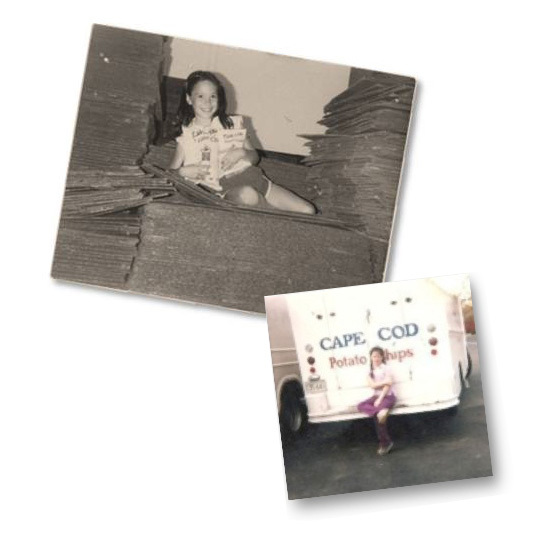 A few weeks later, on one long drive back from a prospective distributor in Maine, I couldn’t stop thinking about a day in second grade when my class came for a tour of the Cape Cod Potato Chips factory. For the first time, my father, the founder of the company, handed me the reins. I remember being nervous to lead the tour and asking him to help, but he insisted. Driving back that day, I realized that I had been preparing for Late July’s next steps my whole life. He never handed me the answers or did things for me that I could do on my own. In that moment, my frustration and sadness turned to empowerment as I recognized the female entrepreneur I was becoming and just how strong I had always been on my own. At this point, I was even more inspired to pioneer the organic food industry and decided to change the direction of the company by moving into a completely different and much more competitive category with the launch of Late July’s Organic Multigrain Tortilla Chips. With my father’s death that year, I found that there was no safety net beneath me, yet I was just as ready to jump and push boundaries as ever before. Just one year later, our company had our most successful year since our launch in 2003, with over 50 percent growth. Today, I’m proud to be the founder and CEO of one of the fastest-growing organic tortilla chip brands in the US.